I am Martie Bolinski, retired chemist with a passion for artwork. I find that designing and cutting stained glass or sitting behind my easel or pad of sketch paper helps me relax and truly feel at peace. In addition to painting and drawing, I have been doing stained glass for about 15 years. While I mostly concentrate on equine designs, I am happy to try any subject. I paint and sketch from photos, life or my imagination. Notecards and holiday cards are available from my artwork as well. 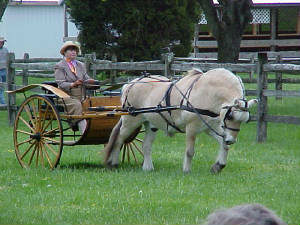 When not painting, sketching or cutting and grinding glass, I enjoy carriage driving with my Norwegian Fjord Horse, Kilar and playing with our dog, Sasha, and with our other equine, Wee Willy or traveling with my great hubby, John. The objective of our business is to provide a high quality product for a reasonable price. I believe that personalized artwork should be available to those on a shoestring budget as well as those with more to spend. All our artwork is guaranteed to satisfy.